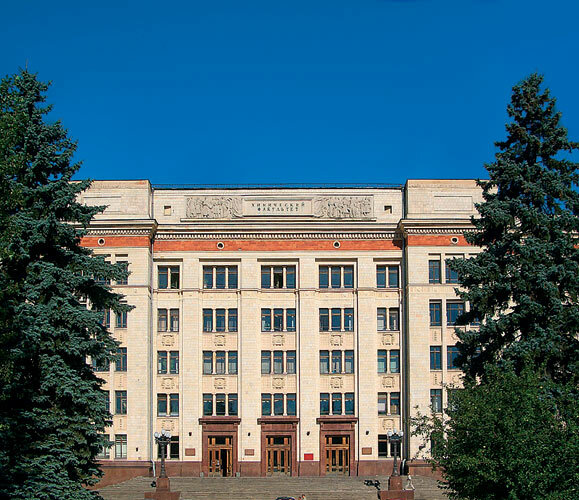 The Chemistry Department of Moscow State University is a world-known center for Chemistry education. 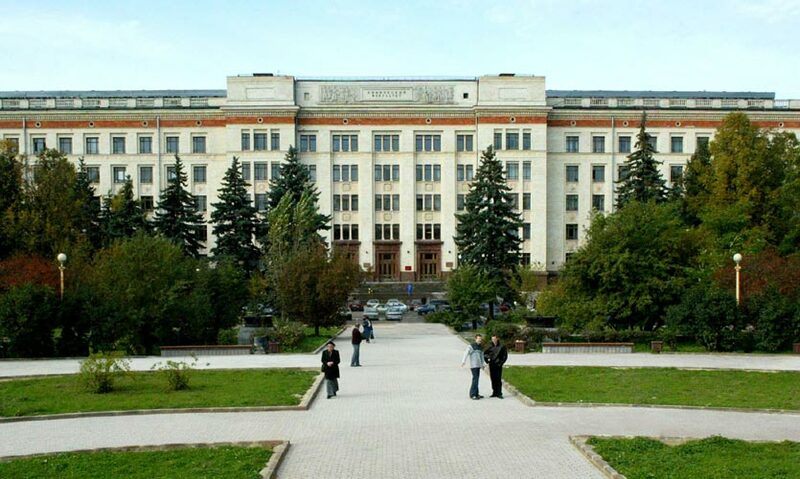 Chemistry education at the University started from the year it was founded, 1755. The founder of Moscow University, Michael Lomonosov, was one of the best chemists in his time. In 1755 he established the Laboratory of Chemistry at Moscow University which later evolved into the Department of Chemistry. The Department of Chemistry includes 17 chairs, 83 laboratories. 1048 students and 283 postgraduates study at the Department. 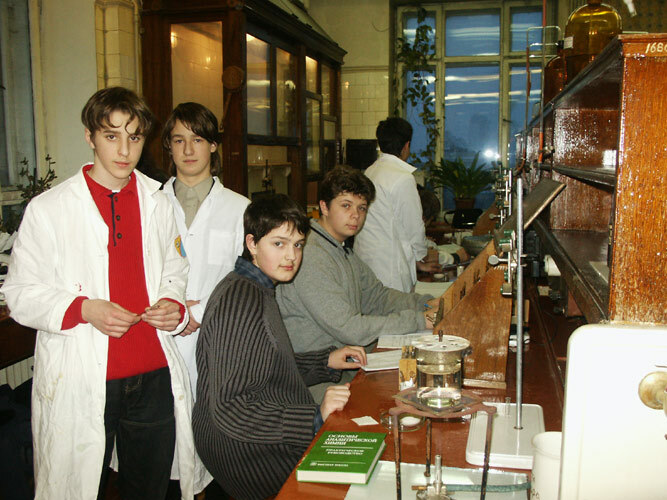 11 full members of Russian Academy of Sciences, 4 corresponding members and 202 professors holding PhD and Doctoral Degrees in Chemistry are now preparing students to become high class specialists in modern Chemistry. 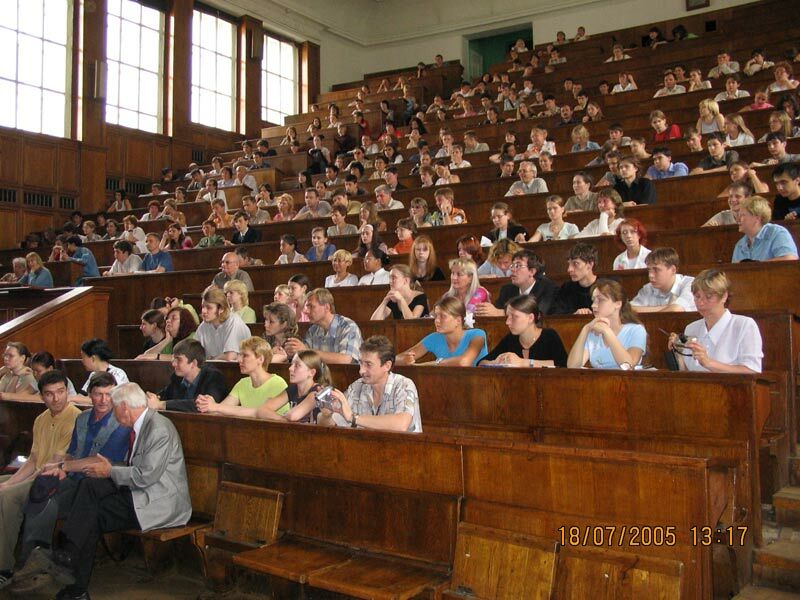 Most of the world-recognized Russian chemists studied and then lectured at the Department of Chemistry. 13478 students and 4911 postgraduates completed their education here since 1929. 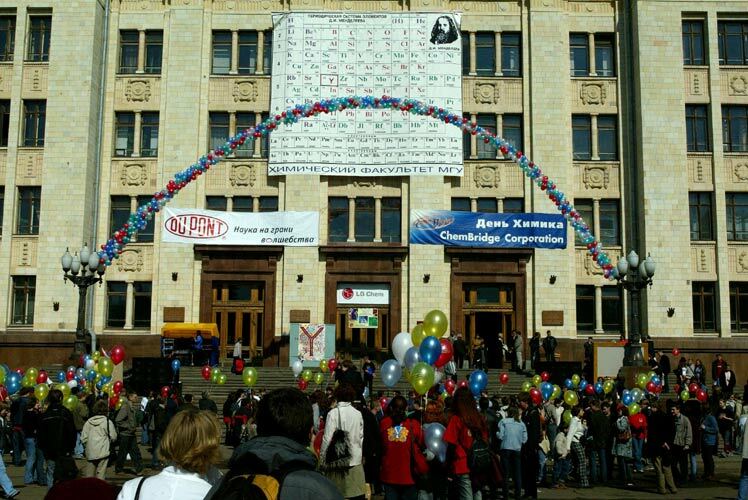 More than 1500 foreign citizens from 65 different countries studied at the Department of Chemistry. 92 Dr.Sc. and 394 PhD theses were defended for the last 10 years at the Department. Department of Chemistry is a world-known center for scientific research. Researches of the Faculty create new semiconductors and high temperature superconductors, synthesize new complex organic and organoelement compounds, develop catalysts for oil refining and petrochemistry, synthesize new medicines, new polymers with liquid crystal properties, develop new biotechnological processes. Scientists of the Chemistry Department made great contributions to the development of modern theory of catalysis, photochemistry, electrochemistry and chemistry of high dispersion systems. Science Department is providing information support, and assistance in organizing and carrying out researches according to the international standard. Science Department is focusing special attention to the fundamental studies and its practical realization. Our scientists are currently working on over 200 projects in the framework of Russian Foundation for Basic Research, about 30 projects sponsored by the INTAS Program, and many other international projects and agreements. The Chemistry Department consists of 17 divisions and 2 stand-alone laboratories.